The top position in the CBSE Class 12th results was secured by Meghna Srivastava, who got 99.8 per cent with a score of 499 marks out of 500. Meghna comes from the humanities stream and is a student of Step By Step School in Noida. The Central Board of Secondary Education declared the CBSE Class 12 results via its official website on Saturday. The overall pass percentage increase to 83.01 per cent from 82.02 per cent seen last year. 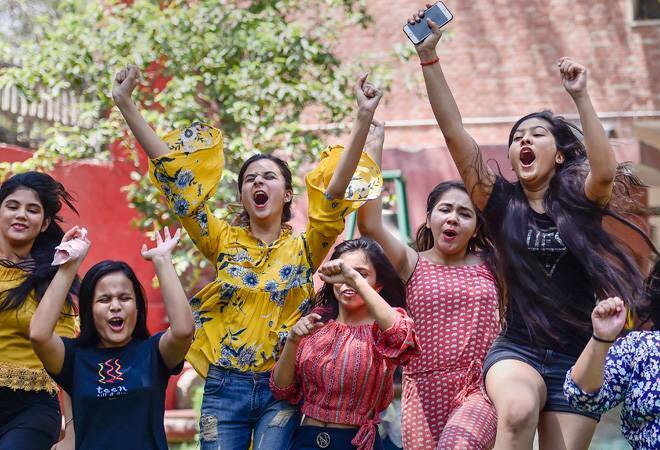 Girls performed better than boys in the CBSE Class 12 results with a pass percentage of 88.31 per cent in comparison to boys' 78.99 per cent. The top position in the CBSE Class 12th results was secured by Meghna Srivastava, who got 99.8 per cent with a score of 499 marks out of 500. Meghna comes from the humanities stream and is a student of Step By Step School in Noida. She scored perfect marks in History, Psychology, Geography and Economics, and got 99 marks in English. Anoushka Chandra secured the second position in the CBSE Class 12 results. She secured 498 marks out of 500. Anoushka too is from a school in Ghaziabad and comes from the humanities stream. The third position was held by seven students who got 497 marks out of 500. The students who reached the third position include Chahat Bodhraj, Astha Bamba, Tanuja Kapri, Supriya Kaushik, Nakul Gupta, Kshitij Anand, and Ananya Singh, according to a report by India Today. The best performing region was Trivandrum in Kerala with a pass percentage of 97.32 per cent. Chennai region's pass percentage was second best at 93.87 per cent. Delhi was at the third spot with 89 per cent pass percentage, the officials said.